You can earn money while cooking using Navagni™ stove for cooking! Qpre™ believes that the valuable features of Navagni™ stoves should be made available to rural and urban communities to improve the quality of life. It is evident from our research that a large population (especially rural) use traditional biomass fuel stoves such as chulas or other inefficient stoves for cooking or heating. Primary reasons for this choice are either they cannot afford and/or do not have access to better stoves. Qpre™ would like to address these very constraints and provide a better choice these families deserve. Virtually maintenance free, the stove does not require additional spending. With the features like flexibility of using any biomass fuel, less fuel consumption, revenue from the generated coal, Navagni™ stove will pay for itself very quickly. The stove will also be covered with a one year manufacturer limited warranty. 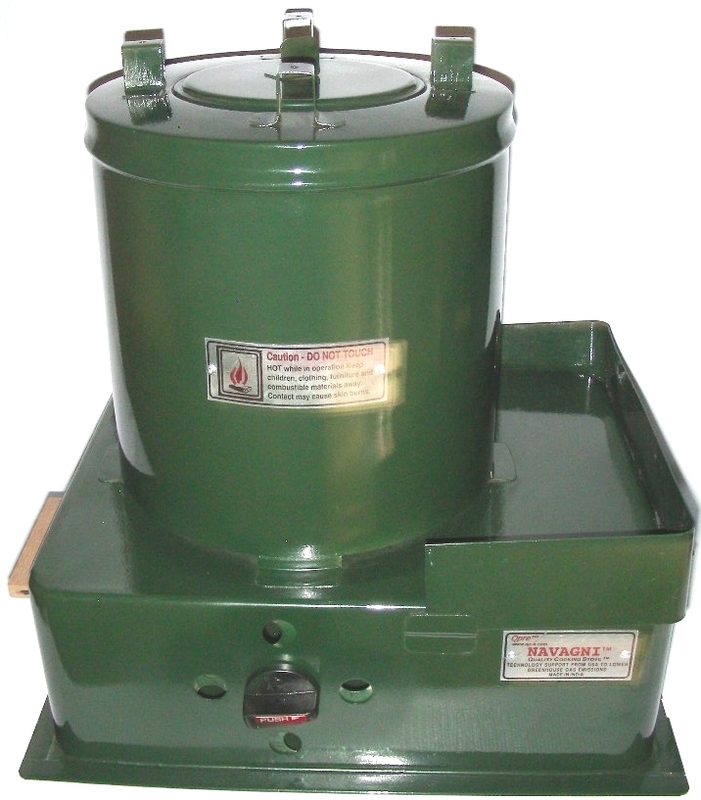 Qpre™ is committed to provide Navagni™ stoves at affordable cost. We will work with non-profit, social service, government and non-government organizations, entrepreneurs and any body who share our vision to educate and promote better quality of life. We are not talking about selling the food that you cook with the stove and make money (well you can do that too). We are talking about the special feature of the stove where you can generate Coal while you are feeding your family. The coal generated can then be sold in the open market for financial benefits. Navagni™ stove design has a coal chamber where the raw material favorable to become coal (like firewood etc) can be loaded prior to cooking. The technology of the stove will burn this raw material in the coal chamber without any contact to fire and without any visible smoke and convert this to coal. All this while you are cooking your meal!